The Rubbermaid FG572124CLR round storage container is made of clear polypropylene so that operators can see product. Handles in the container enable staff to carry it comfortably, and it can be stacked with others to maximize space in storage areas. 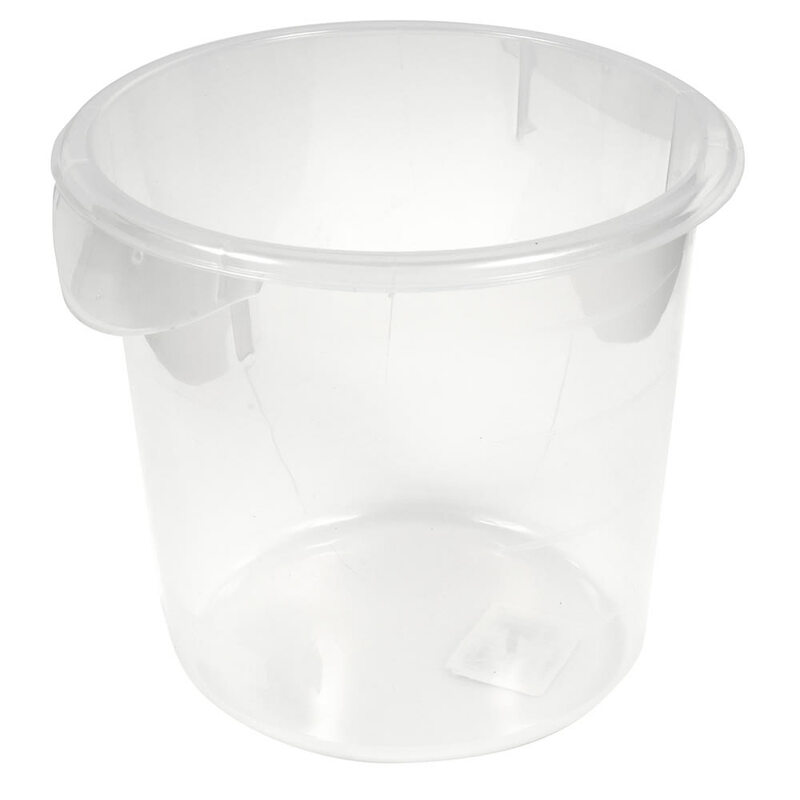 Safe in temperatures ranging from -20 to 212 degrees Fahrenheit, this container can be cleaned in the dishwasher. Take a look at our storage containers explainer to read more about materials.